Since the nation has been gripped by ‘World Cup fever’, many of the new 2018/19 Premier League kits have slipped a little under the radar. However, it won’t be long now until we’re all getting hyped for a new Premier League season, as we swiftly turn our attention back to club football. After becoming completely engrossed in the World Cup, we’re all going to have a bit of catching up to do. The biggest brands in the world have been dropping new releases all summer, with the likes of adidas, Nike and Puma unleashing some truly stunning designs (and some not-so-stunning ones). The majority of Premier League clubs have now unveiled their new home and away kits, as we start to get a good feel for what the new season is going to look like. So, while we wait for the final few kits to be released, we’re asking one very important question: what are the best 2018/19 Premier League kits so far? We actually got to see the 2018/19 Chelsea kit in action at the end of last season, when they wore the strip during their humiliating 3-0 defeat to Newcastle on the final day. The Blues will be hoping for much better performances next season, however, and we’ve got to say that this beautiful football kit deserves nothing less. Dazzling red and white stripes add an injection of colour to the traditional dark blue design, as Nike harken back to the retro Chelsea kits of the 80’s and 90’s. This brings an end to the continuous years of plain blue designs, as fans start enjoying a classic look with a modern twist. As Chelsea’s best home kit in years, we can’t help but wonder why Nike have waited until now to try something a little different. A very smart football kit indeed. Just look at it. 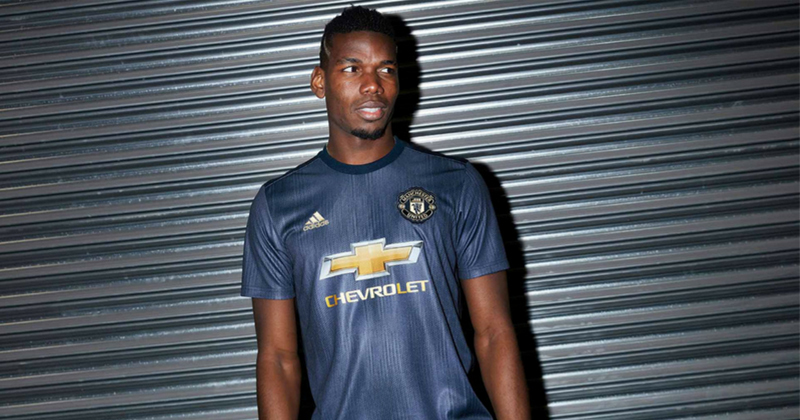 The 2018/19 Manchester United third kit is undoubtedly one of the best we’ve seen this summer, so it seems a shame that we’ll rarely get to see them play in it. Teaming up with ‘Parley For The Oceans’, adidas have created a football kit made from recycled ocean plastic, which also marks the 50th anniversary of the first time United won the European Cup. The striking colourway is inspired by the navy-blue kit they wore in that 1968 cup final, while the stunning gold details signify the success of that campaign. Above all of that, however, it’s just downright beautiful. After poor fan reactions to apparent leaks of United’s new home kit, we suspect this could become a top-seller at Old Trafford this season. It just doesn’t get much bolder than the 2018/19 Watford home kit, and this fantastic adidas design is certainly going to take some topping this summer. Incorporating a striking yellow and black striped design, the new Watford kit is a far-cry from last season’s strip, with this dazzling pattern also making its way onto the shorts and socks. The result is a bold, stylish football kit that exudes a confidence bound to intimidate opponents; while Vicarage Road looks set to transform into a nest of hornets next season. Vibrant. Courageous. Intimidating. Borussia who, right? There are still a fair few football kits to be released ahead of the 2018/19 season, so only time will tell whether anyone is able to beat any of these designs. Either way, you can compare prices on all the latest Premier League kits at FOOTY.COM, no matter who’s colours you’ll be flying next season.